Build a solid foundation for an incredible smile! What’s the Skinny on Periodontics? This form of dentistry refers to the diagnosis and treatment of periodontal or gum disease. 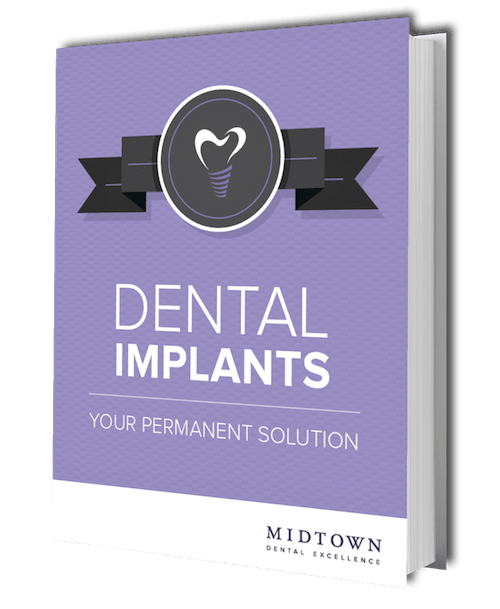 With an estimated 50% of Americans aged 30 or older suffering from this ailment, it is an integral part of the services we offer at Midtown Dental Excellence. Who would be my dentist? Although the majority of our New York dentists are trained and skilled periodontists, we do have a specialist in our midst. Dr. Michael Chau is a top dentist practicing periodontics in New York. Dr. Chau is a board-certified periodontist and received a Clinician of the Year Award for his work in this area. Our expert is proficient in restoring your gums to full health and making sure they look better than ever. From the symptoms to the cause, learn about the most common facts of this oral disease. This bacterial disease impacts your gums with devastating effects on your teeth. There are varying degrees including gingivitis, periodontitis, and chronic periodontitis. It is believed this disease has a negative impact on your total well-being and can lead to other ailments. Red, sensitive, and inflamed gums are the early signs of periodontal disease. If not treated, this can lead to bleeding gums, loss of gum tissue, and even tooth loss, which occurs when the gums begin to recede. How Does Midtown Fix It? We use the latest technology and unrivaled care to nurse your gums back to optimal health. If you visit the dentist every 3-6 months, you can prevent gum disease by undertaking a professional cleaning. Also, by brushing twice a day and flossing daily, you can maintain beautiful, healthy gum tissue. If the disease has progressed and you’re experiencing common symptoms, you may need to come in for a thorough cleaning using scaling or root planning. These procedures are non-invasive and involve a deep cleaning into the gums near the root surface to kill bacteria. This is followed by a treatment to kill any remaining bacteria. If left untreated, the symptoms can become more severe and require surgery. Don’t worry – we have you covered. Pocket Reduction Procedure – This is a thorough cleaning of the tooth’s root. Regenerative Procedure – If there is a bone growth issue, we will use a special technique to encourage the bone to grow. Crown Lengthening – This cosmetic treatment involves moving the visible gum line farther from the tip of the tooth (preventing a gummy smile). Tissue Graft – If the gum has worn away and no growth is taking place, then it may be necessary to take tissue from another part of the body and graft it onto the gum (stimulating growth). All our periodontal treatments are performed using the latest in laser dentistry to ensure reliable, precise, and attractive results. Ready to Build a Solid Foundation of Oral Health?